Estádio Independência, officially called Estádio Raimundo Sampaio, was built to provide América with a new and modern home. 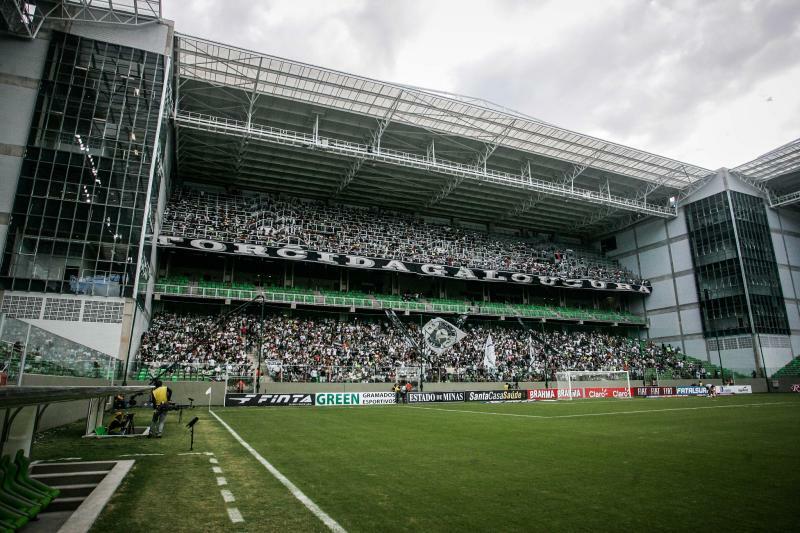 It replaced the old Estádio Independência, which had stood in its place since 1950. The old stadium got demolished in early 2010, and soon after construction of the new stadium began. Estádio Independência officially opened on the 25th of April 2012 with a friendly between América and Argentine side Argentinos Juniors (2-1). Mineirão, Belo Horizonte’s other major stadium, was still closed at that time due to ongoing renovation works, which meant that both Atlético and Cruzeiro used the stadium for their home matches. 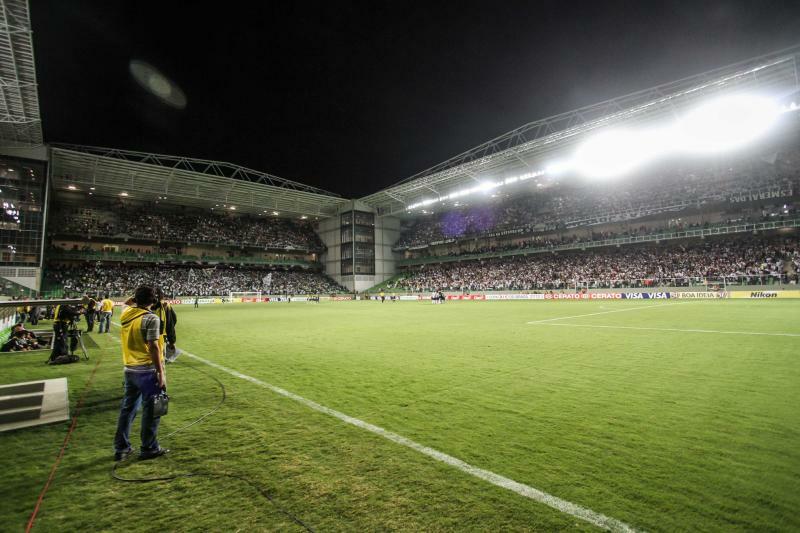 As Atlético has not come to an agreement with Mineirão on the rental terms, the club currently still uses Independência for their home matches and will likely continue doing so for at least the remainder of 2013. Estádio Independência is located north-east of downtown Belo Horizonte, about 4 kilometres from the central Praça da Liberdade square and just over 2 kilometres from the Praça da Estação square. The walk from Praça da Estação can be made in under 30 minutes. Alternatively, one can catch a metro to Estação Horto Florestal, which lies a 5 to 10-minute walk away from the stadium. Belo Horizonte currently only has one metro line, and there are several stops in downtown where you can board. There are also various options to get to the stadium by bus. From Ave Joao Pinheiro (downtown) one can, for example, take bus 9105 (towards Bh Shopping) or 9106 (towards Serra) to the stadium. From the Avenida Amazonas one can take bus 9205 (towards Nova Cintra) or 9414 (towards Joao Pinheiro), though bus numbers can change depending on the day of the week. Tickets for América matches can be bought at the club office in the Ouro Preto area in the north of the city (Rua Mantena), at the Centauro store at Boulevard Shopping Centre (just east of the centre), and generally at the ticket windows of Estádio Independência. Tickets can also be bought at the ticket windows of the stadium on the day of the match. América practically never sells out. 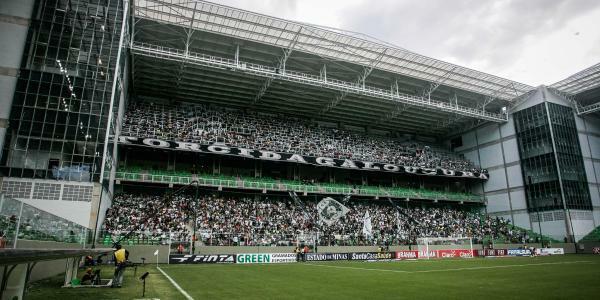 Tickets cost either R$20.00 for a seat behind the goal, or R$40.00 (or R$60.00) for a seat at one of the long sides. Americamineiro.com.br – Official website of América Futebol Clube.